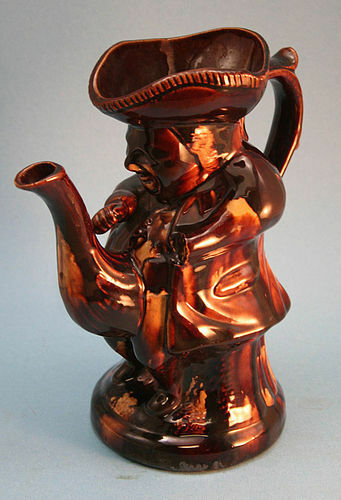 Humorous Staffordshire Pottery "Admiral Nelson" Pitcher moulded in the form of Lord Nelson (but missing the wrong arm) with a rather strategically placed spout, and a Rockingham mottled brown glaze. 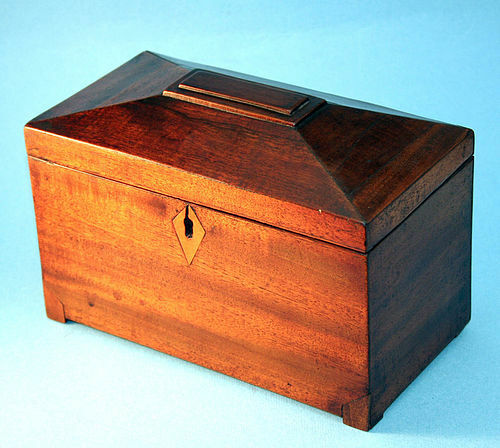 Probably English, circa 1850. 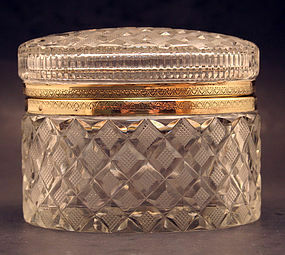 Antique oval pressed and engraved crystal dresser box with gilt metal mounts. Probably French, Circa 1900. 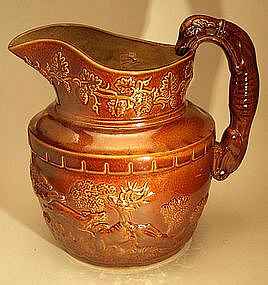 American Arts & Crafts bronze vase, unmarked. Circa 1880-1900. Fine Antique Grand Tour Souvenir Column, having a square marble base and turned marble shaft with laurel leaf decorated gilt metal base and a Corinthian capital. 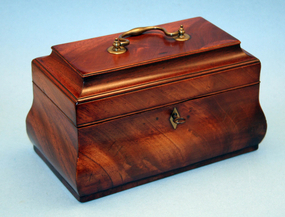 Circa 1830-50. Rare Rockingham hound handled pitcher with molded scenes of stag and boar hunts and a grapevine design decorating the neck. 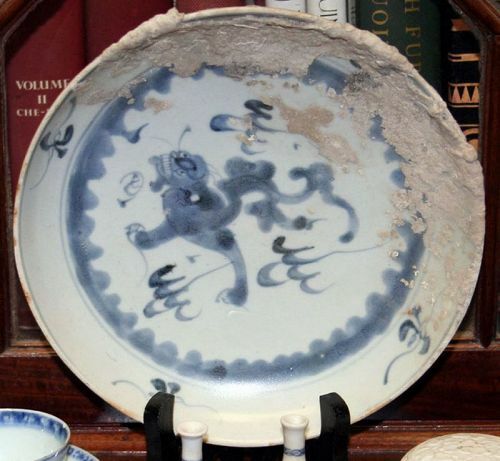 Attributed to the Salamander Works, Woodbridge, New Jersey, 1840-50. Provenance: Eveleth/Summerford Estate, Washington, D.C.
Jens Quistgaard is best known for his creations in teak such as his pepper grinders and bowls but Quistgaard's other designs such as his candle holders were also very popular. 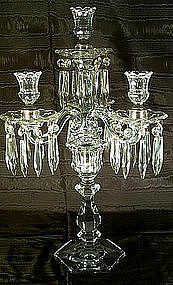 Most of his designs were made from cast iron but this very rarely seen design is made from brass and polished steel. Circa 1960.